Hello, as you already know, I’m Kindson The Genius and I’m here to help you understand tech concept very easily. You let me know what you would like to learn. Today I would just outline the OAuth 2.0 Authorization Process, that is the steps and the flow diagram. No much details though. Step 7: The IdP checks the access code is valid and then send the access token to the App. 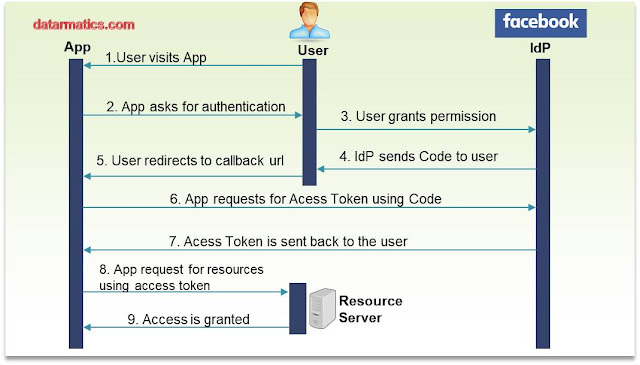 Step 8: App then requests access to restricted resources in the resource server by presenting its access token. Step 9: Resource server checks with the IdP to make sure access token is valid and then grants access to the resources. The IdP and the Resource Server are sometimes in the same place. Find more details here: What is OAuth and OpenID?